Nintendo fans had a gleeful start to 2019 after the release of Super Smash Bros. Ultimate for Nintendo Switch. In the wake of its release, many content creators on YouTube and Twitch have been consistently playing the game for their respective audiences. But with all the many hours of content about Super Smash Bros. continuing to be published, it can be rough finding something interesting. That's where we come in. Whether you're looking to get competitive with Super Smash Bros. Ultimate or you're a casual player, we have a solid list of five influencers making great content that you should be following in 2019. The fun stuff like tutorials, community discussions, or match coverage is only the tip of the iceberg here. There are a lot of creators making content about the big Nintendo crossover, but these are channels that stand out and offer something interesting to anyone who can't get enough of the all-star brawler. If you enjoy watching videos about Super Smash Bros. that have a blend of wisdom and comedic tone, then one of the best channels to follow is Inferno Omni. With an audience that has grown to nearly 100K subscribers on YouTube, Omni has many videos that focus on the discussion of the Smash Bros. fan community. But that doesn’t mean he strays away from making content that highlights certain aspects of the games, including the good and bad differences between various Super Smash Bros. releases. His on-going series on specific main characters people play as in different games is both a solid commentary on the characters, as well as a comedic jab at what you commonly see from players on and offline. What Omni does best however is make videos touching on certain news and hot topics about the Super Smash Bros. fan community. The series he calls #LayItOmni not only allows him to give thoughts and opinions on the topics of the moment, but also offer a bit of tough love to the same community he is a part of. Something wild and crazy happened to a few popular Smash players? Expect to see Omni post a very well-thought-out roast of all the silliness, while also adding a bit of wise food-for-thought to compliment everything that gets cooked. When he isn’t making videos about the Super Smash Bros games or community, you can still find him once in a while talking about anime and other video game series. Gonzalo Barrios is better known in the gaming world as the world champion Smash player ZeRo. Not only has he played various games in the Super Smash Bros. series competitively for a living, but he also holds a Guinness World Record for a 56 tournament win streak. Safe to say, ZeRo knows a lot about playing Super Smash Bros. competitively. ZeRo has a YouTube and Twitch channel where he consistently publishes tutorial videos about each game in the series, as well as other instructional content for new and adept players to reference. With his vast knowledge about the intricacies of Smash Bros. top level play, ZeRo’s videos can get very detailed in the most interesting of ways. Whether it’s playing a new character or finding new strategies in matchups and stages, ZeRo has will offer something new to any kind of Smash player out there. In addition to all of the guides and helpful tutorials, ZeRo doesn’t shy away from posting competitive matches on his channels. Though not always archives from major tournaments, you can still catch ZeRo battling against some of the other top-level Smash players lurking around. His games against Smash community heel Leffen often have many views by players looking to watch incredible matches. Every once in a while, ZeRo will also post a discussion video or vlog about something related to Super Smash Bros. that might be an offshoot to the competitive scene and offering more variety to fans of the games. Sometimes the Smash Bros. fan community needs a very good laugh. Luckily there is a channel on YouTube like MightyKeef to offer that to everyone. As a channel with over 150K subscribers, MightyKeef makes videos about various different video games, with a majority of his content being devoted to the Super Smash Bros. games and topics. He has a fun exaggerated comedic edge that stands apart from of other Smash Bros. creators, offering solid opinions and talking points about the community and games. MightyKeef’s videos are often short and have lots of wit injected into them that makes everything very funny. In addition to his comedic videos, MightyKeef also records his reactions of online gameplay with the community. Supplemental to his Smash Bros. content, MightyKeef also makes some content about other fighting games and anime related games that are popular. Some videos that touch on the struggle with rage quitters online is both hilarious and easily relatable to anyone who plays games online. If you ever want to have a good laugh and are playing Super Smash Bros. Ultimate, then there’s no better place to do so. Variety is the spice of life, and having that in a YouTube channel is always a great thing. NAKAT is a sponsored competitive Super Smash Bros. player that posts content about the games and community frequently. However, instead of making just match videos or tutorials, NAKAT has a wide variety of videos that offer something different for everyone. Besides his vlogs and discussion videos that showcase his expertise and opinions, NAKAT also showcases footage from events he’s attended to play Super Smash Bros. and other games. Many videos leading up to the release of Super Smash Bros. Ultimate show NAKAT playing the game with others at events and other popular players from throughout the community. An interesting new inclusion on his channel is the SmashCast. 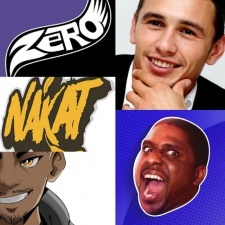 Other popular players are constantly streaming live or making video content for YouTube, but NAKAT has a podcast where he brings on other individuals to talk about the game and other subjects important to the Smash Bros. community. The diverse ensemble of perspectives offer listeners unique takes on some hot topics, while also showcasing an appreciation for the community interaction between everyone. There are some crazy, outlandish, and over-the-top moments that happen within the Smash Bros. community. If you can’t be there for every moment as it happens, channels like GRsmash have you covered. On YouTube, GRsmash has garnered a channel with over 200K subscribers that have followed his channel for the compilation and highlight reel videos that cover the entirety of the Super Smash Bros. scene. Not limited to tournaments or official events, GRsmash has videos that cover all kinds of Smash Community moments, including ones from lesser known players that end up being just as interesting and entertaining as the popular players. The Top 10 videos and other list style videos that GRsmash publishes offer a solid look at nearly every aspect of the Smash Community. GRsmash also makes videos that put focus on nearly every Smash Bros. game and competitive scene, all the way from the Nintendo 64 Super Smash Bros. to Smash Ultimate on the Nintendo Switch. It’s a very wide pool of content to pull from, but GRsmash consistently posts new highlights and video content that spotlights even the most mundane things, turning them into fun videos to watch.